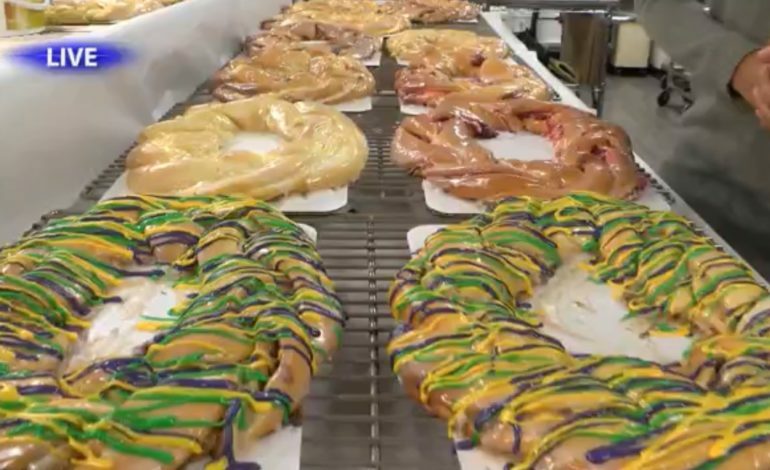 Every Tuesday leading up to Mardi Gras we’re featuring a local bakery and their king cakes. This Tuesday Megan Woods spent the morning with Crystal Weddings where they use a Danish dough, hand-glaze the cake and then drizzle purple, green and gold icing on top. Watch below to get an inside look. For a list of where you can find a Crystal Weddings king cake, click here.